Today I whipped out one of our most-cherished family memory makers...our Advent Countdown Calendar. 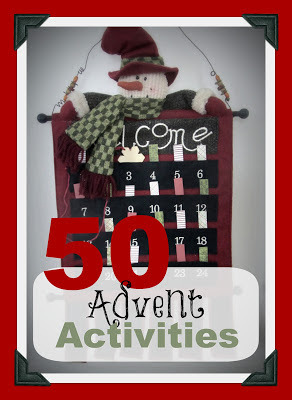 This felt calendar, purchased seven years ago, has proven to be the spark for sharing daily family activities every day leading up to Christmas. Perhaps you've seen one or have used one. I learned about them from a friend who shared her family's Advent Quilt at a MOPS meeting many years ago. 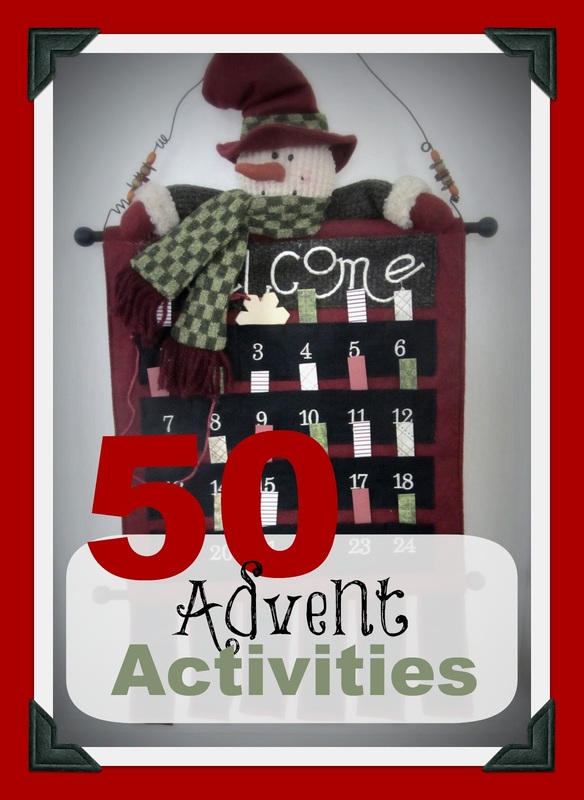 It is basically a calendar with pockets...sometimes cubbies with little doors...that hold candy, small gifts, or in our case, small slips of paper detailing an activity that we will all participate in together. Typically, I plan our calendar activities sometime during the long Thanksgiving weekend. With family calendar in hand, I first make a list of all the current commitments we have in December...piano recital, co-op Christmas party, extended-family gatherings, etc. I assign those activities to our Advent Calendar. 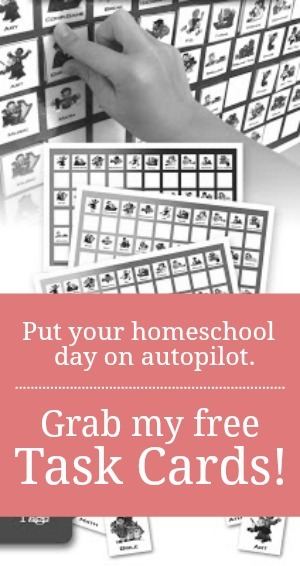 There's no reason to create an activity when one is already on the calendar. Then, I consult on-line city-wide calendars of events, church newsletters, and our town newspaper to determine if there are any other up-coming happenings worth adding to our countdown list. Next, I make a list of activities that include games, crafts, outings, service projects, and faith-based happenings. I try to rotate these so that there is one of each per week. Since we normally do our activities in the evenings when the Hubs is around to participate, I, obviously have to keep our regular LIFE schedule in mind. Certain nights, we have weekly commitments, so those countdown activities have to be less involved. Most importantly, I try to blend family favorites that have been enjoyed for many years in a row with new adventures that I have found in magazines, online blogs (ahem! ), and a lengthy list of super-creative friends. In addition to our PREPARED list of activities, I jot down 3-5 EASY "to do"s that I can replace for others if the day takes an unexpected turn. These might include eating a Christmas cookie with snow-man soup (hot chocolate), watch a Christmas movie, or unwrap one stocking gift early. Once my list has been "checked twice", I cut out small slips of Christmas paper and write one activity onto each slip. Since I have four children who are old enough to pull out a slip each day, I use four different colored papers. This makes it easier to keep track of whose turn it is to pull the slip out for the day. The kids each remember which paper is theirs so that I don't have to. Each morning in December, my little babes come rushing to our entryway where our treasured calendar hangs, and wait anxiously for the slip to be pulled, and THE BIG ANNOUNCEMENT for the day's activity is made. Attend a Christmas party at a fun aunt and uncle's house. Set up the buildings in our heirloom Nativity set. Re-enact the Christmas story with our plastic Little People Nativity set. Attend the 7th annual gingerbread house decorating party hosted by dear friends. Put on our Christmas pillowcases. Paint ornaments with a faux stain-glassing kit. Play "What's in the Stocking?" Go to the mall to hear a handbell concert. Buy grandparents gifts from the $1 store. Attend the co-op Christmas party. Paint wrapping paper to wrap the grandparent's gifts. Deliver Christmas cookies to neighbors. Take a drive to look at Christmas lights. Pick a gift for Jesus...a service project or charitable project to do together. Make snowman garland from a craft kit. Do Christmas puzzles made from last year's Christmas cards. Attend the extended family Christmas. Cut down/Decorate the Christmas tree. Write and illustrate a family book of the Luke 2 passage. Decorate the envelopes of the family Christmas card. Play a snowman beanbag game. Attend a Christmas program at church. Read the Hanukkah story and make Latke cakes. Write a letter to send to an overseas soldier. Cut out and hang paper snowflakes. Decorate upside-down ice cream cones to look like Christmas trees. Make holiday placemats for Christmas dinner. Put on a Nativity puppet show. Draw a mural of the Nativity on a large piece of newsprint. Decorate an outdoor Christmas tree with natural/edible ornaments for the animals. Play the "Eye Spy" ornament game. Make gift jars for our Sunday School teachers. Watch home movies of Christmases past. Have a wrapping paper fight...similar to a snowball fight. Make a family hand-print wreath. Go Christmas caroling at a neighborhood senior's center. Play the "Build a Snowman" dice game. Do you celebrate with an Advent calendar? What's on your "to do" list this year? Looking so impressive information you shared here, I really love it a lot.